The Saddle Company have brought their experience of producing lightweight, comfortable saddles to exactly the discipline where these qualities are sought. The result is the Endurance model. 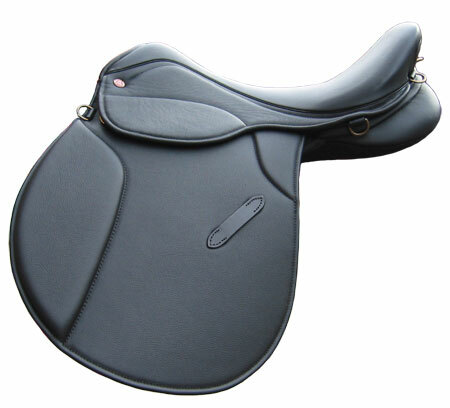 Made as a part leather, part synthetic saddle where all the visible surfaces are leather hide covered. It features extra padding in the skirt over the stirrup bars and a thigh pad. Five D rings around the seat allow for saddle bags and accessories. 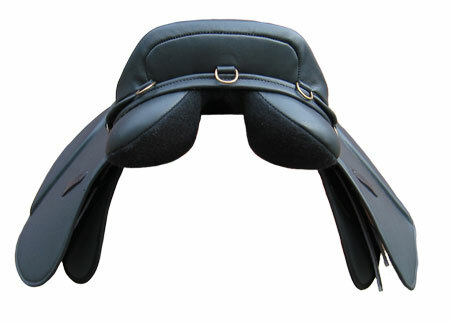 Removable knee blocks and three girth straps. Large serge covered panels give a wide weight bearing area. 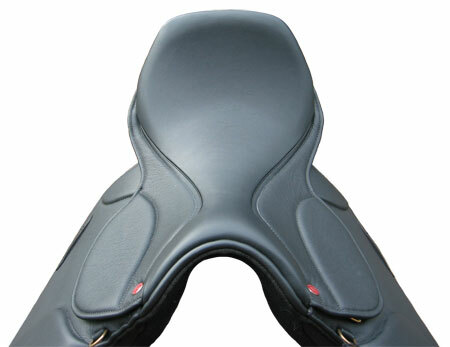 Serge lined panels mould themselves easily to the horse’s back and they have excellent heat and moisture dissipation. As with all Saddle Company saddles they feature a TreeTec precision moulded tree which guarantees symmetry and alignment and is virtually unbreakable. The tree can also be adjusted in the factory for width multiple times, so if your horse changes shape or you change horse, the saddle can be adjusted to fit for a small charge. Don’t forget that this saddle isn’t just for Endurance riders – anyone looking for a comfortable general purpose saddle should consider it. 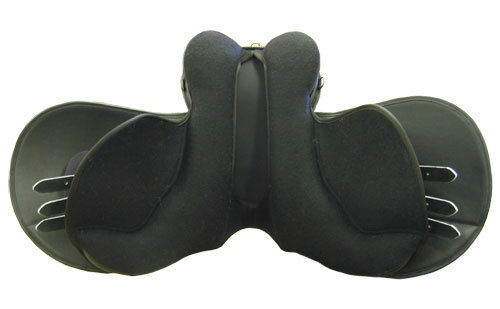 Order your endurance saddle from our online shop. Multiple D rings for accessories and saddle bags. The well padded seat and skirts maximise rider comfort. Rear view of the wide panels and generous gullet. These panels are freshly flocked and un ridden and will adjust to the shape of the horse’s back within the first few hours of use.